The 2018 NBA Playoffs saw the rise of a new offensive trend, the Slingshot Concept, which combats defenses that switch ball screens. Anyone who watched the NBA playoffs saw a plethora of switching defenses. Teams switch to negate any advantage the offense has gained via an off-ball screen or ball screen. NBA offenses have evolved, adapting counters to try to combat this switching strategy. Some of the ways offenses attack defensive switches is with blur screens, boomerangs and slipping the screen. A new concept I noticed being used heavily throughout the 2018 playoffs is the slingshot concept. Teams like the Pelicans, Timberwolves and Pacers all used slingshots frequently in their offenses. This post will break down the concept and how to utilize it within your offense. A slingshot is when a ball handler backs up to create more space between them and their defender. Once the space has been created, the ball handler attacks downhill toward the defender. This puts the defender in a difficult situation as they must attempt to guard a player who is attacking at full speed. There are a couple common situations that the slingshot is used within NBA offenses. The most common way is after a ball screen switch where a mismatch has been created. Typically this is when a post player switches onto a guard. The guard is able to use their quickness and speed to either get by the defender or force the defender to back up. 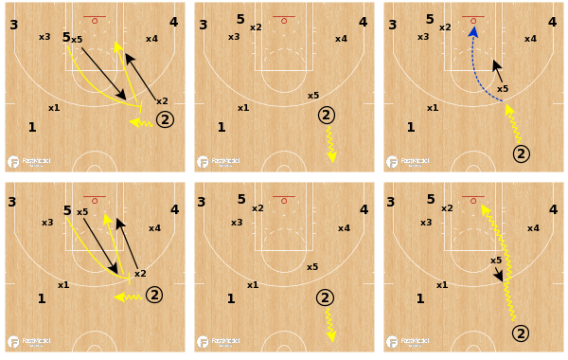 Another common scenario it is used is in isolation, where the ball handler can use the space to get momentum toward the basket, as well as use dribble attack moves to get by the defender. The reads are simple and easy for players of all levels to use, which makes this concept a great add for any coach’s offensive playbook. Once the ball handler has created space by backing up, the ball handler begins to sprint toward the basket. 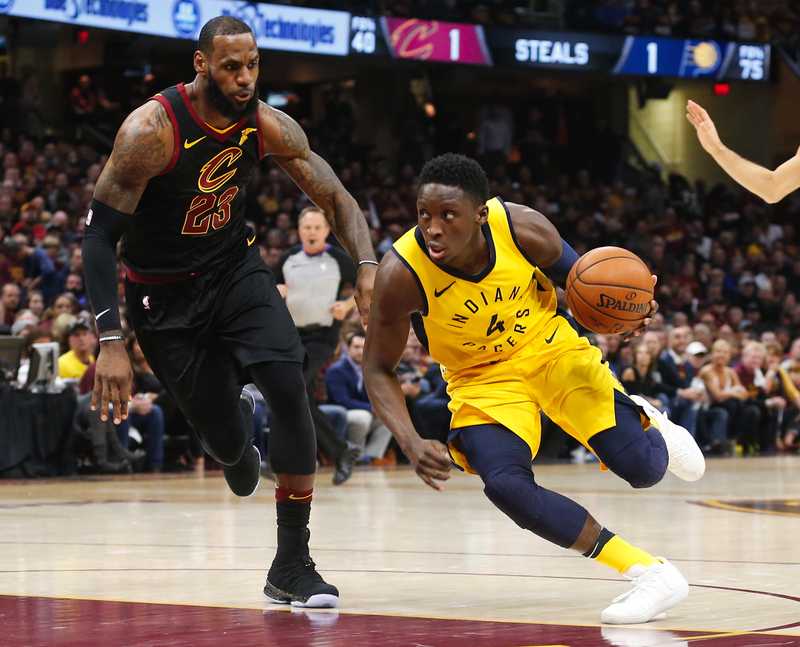 The defender has two options once the offensive player is sprinting toward the basket to either backup and allow the player to pull up or step up and force the ball handler to drive. On the drive the player not only has the ability to finish at the rim, but collapse the defense for a kick out. See the diagrams and video below to get a better understanding of the slingshot concept and the reads with it. The best thing about the slingshot concept? It’s simplicity. Not only is it easy to understand in theory, it’s quickly identifiable for players in live situations, which makes this concept a great add to any coach’s playbook. Put it in yours today! Check out all of Jordan Petersen’s plays and drills on the FMS PlayBank.